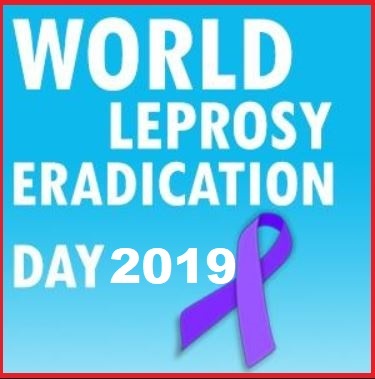 World Leprosy Eradication Day is observed on 30th January every year around the world which stresses the need of eradicating the disease. World Leprosy Eradication Day also brings to light the discrimination and stigma that people suffer from society every day. World Leprosy Eradication Day this year’s theme for World Leprosy Day is ‘Ending discrimination, stigma, and prejudice’. Leprosy, also known as Hansen’s disease is a highly contagious infection caused by the bacterium Mycobacterium leprae. Leprosy (also known as Hansen’s disease) is one of the oldest diseases known to humankind. It is caused by a slow-growing type of bacteria called Mycobacterium leprae (M. leprae), which multiplies very slowly in the human body. The bacterium has a long incubation period (on average 5 years or longer). The disease affects nerve endings and destroys the body’s ability to feel pain and injury. Leprosy is a chronic granulomatous disease that mainly affects the skin and peripheral nervous system. It can also affect the eyes and respiratory system. It is curable with multidrug therapy (MDT). Treatment provided in the early stages averts disability. According to the World Health Organisation (WHO), despite being eliminated globally as a public health problem in 2000, leprosy continues to mar the lives of individuals, and impacts families and communities. In 2015, Leprosy affected 212 000 more people globally of them 60% were in India.